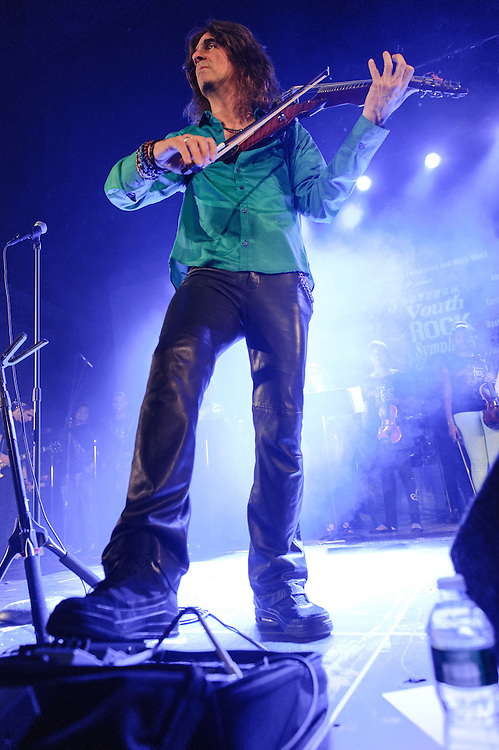 Photos of the Electrify Your Music Foundation New York City launch event with The 5-Borough Youth Rock Symphony featuring electric violinist Mark Wood, vocalist Laura Kaye and Dee Snider of Twisted Sister performing live at Brooklyn Technical High School Theater in Brooklyn, NY. April 26, 2013. Copyright © 2013 Matthew Eisman. All Rights Reserved.